How do you stimulate innovation in your business or organization? The same way you get a kid to eat broccoli. 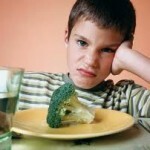 You can’t get a kid to eat broccoli by pleading with him. Or by cajoling, or punishing, or even by withholding privileges. Telling him to “think outside the box” won’t work either. But you can lead him to broccoli — just as you can lead your business or organization to innovation. Learn how in the video. Jargon — When and Where? We all complain about jargon. So why do we use it so frequently? On the one hand, we use it to show that we belong to an “in-group”. We’ve been initiated and we know what we’re talking about. If others understand it, we know they’re part of the group. If they don’t understand, we know they’re outsiders. So jargon can be an important “group grooming” tool. It can also make you seem arrogant and stuffy to anyone who is not initiated. More importantly, we use jargon because it can be a good communication tool; it’s a very precise and efficient way to communicate with other people who know the code. For people who don’t know the code, however, it’s confusing and irritating. As you hone your communication skills, remember that jargon is very appropriate in some situations; very inappropriate in others. The video will help you understand the difference. Many cultures around the world consider old people to be wiser than young people. Why would that be? It may be very simple — old people have forgotten a lot. They forget the details and the minutiae. They remember the important stuff. That’s also very good advice for creating powerful, persuasive presentations. Get more tips for improving your verbal communication skills in the video. The world is just too complex. It’s difficult to understand all the different things that are going on around us. Some people retreat to conspiracy theories to try to make sense of the world. Most of us do something simpler: we create metaphors. A metaphor is simply a way of saying, “the world is like this…” It simplifies the many complexities and makes the world — and our arguments — easier to understand. But what happens if my metaphor for how the world works is different from your metaphor? If I say that life is like baseball, then I’ll probably tolerate a little deceit in life. After all, the hidden ball trick is acceptable, no? If you say that life is like a court of law, you’ll probably have a much different view of what’s acceptable. We could wind up talking right past each other. Worse, we could get very angry at each other without really understanding why. It’s not an effective communication tool for business or for romance. Learn more in the video.